Livia Ungur guides us through Hotel Dallas. I saw some documentaries at this year’s Berlin film festival ‘Berlinale’. As this year’s winner of the Golden Bear is another documentary by Italian filmmaker Gianfranco Rosi I felt motivated to write a rating for Hotel Dallas. A Romanian- American production by Sherng-Lee Huang and Livia Ungur. The semi-documental film circles around the fact that the famous series Dallas was the only western show allowed on Romanian television in the 1980s. The Ceaușescu regime wanted to demonstrate the corruption of Western lifestyle and made it paradoxically a role model for many Romanians. Larry Hagman, the infamous J.R. in Dallas, is quoted by saying a Romanian once told him that he saved Romania by playing this role. After the fall of the Iron Curtain J. R. was a blueprint for how to behave in a capitalist society. 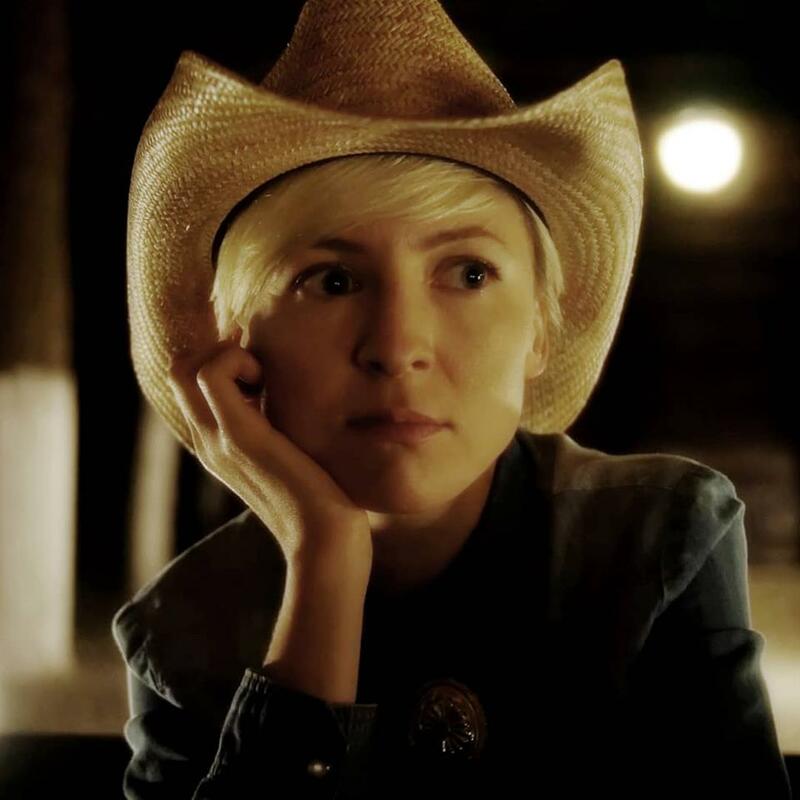 Livia Ungur plays herself in the role of a cowgirl exploring the impact this TV show had on Romania. This is achieved through flashbacks in the past when the show was running. You see some pioneers, the communist youth in Romania, playing scenes from the series. You switch to America and see the filming locations. Patrick Duffy who played Bobby, the only opponent who could keep up with the villian J. R., is interviewed and accompanies Livia on an imaaginary trip to the Endless Column in Romania, a work by the famous sculptor Constantin Brâncuși. Throughout the whole movie ordinary people and intellectuals give their opinion on the country’s development. A so-called sunflower oil millionaire is introduced who made the Dallas dream come true with his oil empire and a miniature Eiffel Tower in his yard. Philosophy lecturerers reason about the rightist tradition of Romanian philosophy with Mircea Eliade and E. M. Cioran as the main protagonists and their involvment in the fascist Iron Guard in Romania. The journey ends with the arrival at the Endless Column, which is due to digital effects really endless. All in all, Hotel Dallas is an extraordinary amusing and educational film illuminating a peripheral part of Europe and the impact of Western culture on it. Its humor and the strong picture language make it worth seeing. Seen at Cineplax, Potsdamer Platz, Berlin, Germany, on 20 February, 2016.